Kate Middleton & Sister Pippa Don Their Finest for Separate Events! The Middleton sisters both enjoyed nights out in their formal attire this evening! 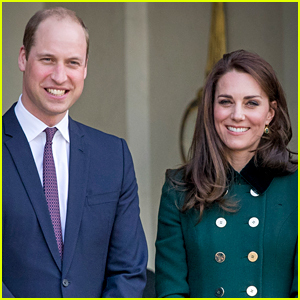 Catherine, Duchess of Cambridge (aka Kate Middleton) and her husband Prince William attended a party at the Empire Music Hall on Wednesday evening (February 27) during their royal visit to Belfast, Northern Ireland. Meanwhile, Duchess Kate‘s younger sister Pippa Middleton was seen on the red carpet for the British Heart Foundation Beating Hearts Ball at Guildhall that same night in London, England. Pippa is the foundation’s Honorary Gala Chair and she is a BHF Ambassador. This is Pippa‘s first red carpet appearance since welcoming her first child. The foundation works to we fund research into the world’s biggest killers. FYI: Duchess Kate is wearing Missoni. Pippa Middleton Shows Off Her Bikini Body With Husband James Matthews in St. Barts After Giving Birth! Pippa Middleton Welcomes Baby Boy with Husband James Matthews! Is Pippa Middleton In Labor? Husband Seen at Hospital with Overnight Bags! 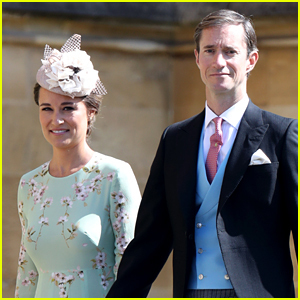 Pippa Middleton, Who Is 9 Months Pregnant, Looks Gorgeous at Princess Eugenie's Wedding! Pregnant Pippa Middleton Enjoys a Bike Ride in London! 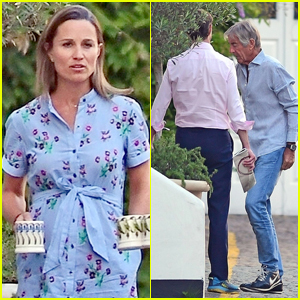 Pregnant Pippa Middleton Enjoys Tea Time with Hubby James Matthews & In-Laws! Pippa Middleton Shows Her Baby Bump While Taking Her Pups on a Walk! Pregnant Pippa Middleton & James Matthews Attend Wimbledon Championships 2018!